The minister said both sides agreed on business and investment worth hundreds of millions of dollars in diverse fields. 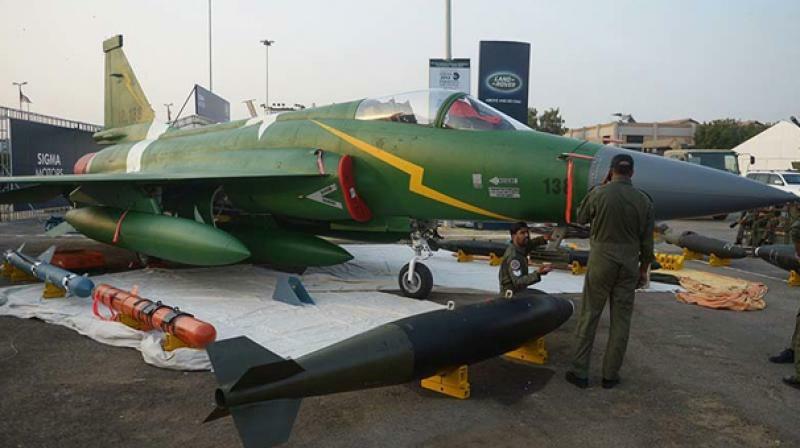 Islamabad: Malaysia has shown keen interest in procuring JF-17 Thunder fighter planes and anti-tank missiles from Pakistan, finance minister Asad Umar said. Speaking to reporters after delegation-level talks between the two countries’ leaders at the Prime Minister’s House, Asad Umar said the visiting delegation sought participation of JF-17 Thunder aircraft in a defence fair to be held in Malaysia in the near future. Malaysian Prime Minister Mahathir Mohammad was accompanied by an investors’ delegation during the Pakistan visit. The Board of Investment arranged an Investment Round Table where the investors from both sides expressed interest in joint ventures.